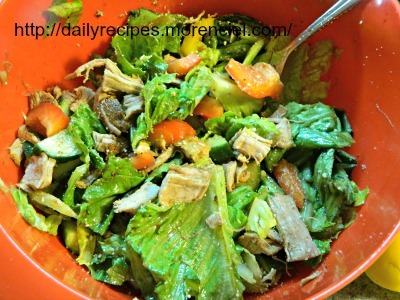 In a large bowl , combine all dressing ingredients except the oil. Pour the oil in a thin stream and whisk vigorously to create an emulsion. Then add the remaining ingredients. Mix gently and adjust seasonings to taste.